Are You Looking For St Patrick's Day Party Ideas? We're Ready To Help You Throw The Best St. Paddy's Day Party In The GTA. WE'VE GOT EVERYTHING YOU NEED TO THROW ONE FANTASTIC ST PATRICK'S DAY PARTY THIS YEAR! Why not make it your place? your St Patrick's Day party. 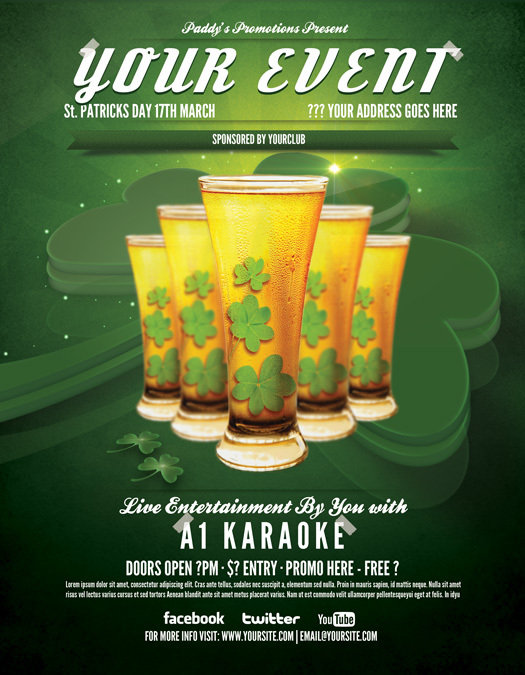 Email marc@a1karaoke.com or call Marc today @ (647) 283-5876 and let your St Paddy's party be the talk of the water cooler.